Norway was the first country to achieve 100 gold medals in the Winter Olympics. The historical medal was won by biathlon competitor Tora Berger in Vancouver. Canada has twice previously staged the Olympic Games, but never won on their home turf. 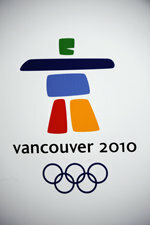 In Vancouver, Canada won 14 gold medals and broke the record for the number of gold medals in the Winter Olympics. The victory (3-2) over arch-rival USA in the ice-hockey final will always be celebrated in the history of Canadian sports. IOC’s motto “Citius – altius – fortius” (faster, higher, stronger) is getting close to the extremes. The games got off to a dramatic start when Georgian athlete Nodar Kumaritashvili failed to cope with the high speed on the luge track. The 21-year old was killed while practicing a few hours prior to the opening ceremony. In their eagerness to achieve world-record speeds – more than 150 km/h – the organizers pushed the limits, which in turn affected the safety of the athletes. For the first time in the history of the Winter Olympics the opening ceremony was held indoors and was a magnificent presentation of Canada’s nature, culture and history. Ski cross was introduced as a new event.